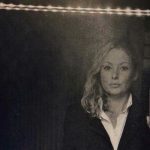 Take a tour of the world’s second largest collection of aerial photography with Susan Hallsworth, part of our NCAP team. The National Collection of Aerial Photography (NCAP) is one of the largest collections of aerial imagery in existence. It comprises 90 years of material, from the 1920s to 2010, and contains over 26 million images. It chronicles historic events and places from around the world. The collection tells the history of aerial reconnaissance through reels of film, photographs and so much more. We hold sortie maps showing the routes aircraft flew. The vast archive amounts to over 130,000 boxes of prints, photographic films and associated records. The collection’s origins date back to the Second World War (WWII). The Allied Central Intelligence Unit (ACIU), based at RAF (Royal Air Force) Medmenham, Buckinghamshire amassed millions of photographs. Some aerial photography was even captured by the German Luftwaffe. 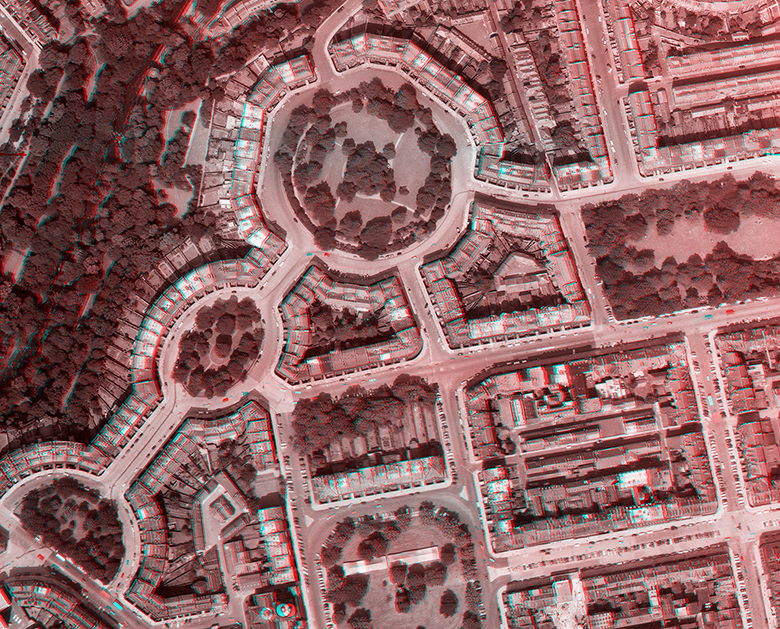 Much of the reconnaissance aerial photography taken during WWII was produced in an early form of 3D called stereoscopy. This technique gave photography interpreters more detail to examine an area or object. A stereograph is two pictures viewed with a set of lenses. By taking the two pictures with an overlap of 60%, the corresponding left and right images are able to produce a three dimensional images when viewed through a stereoscope. You can view many of the declassified military images within the NCAP collection in this way. Stereograph of Edinburgh’s New Town, taken June 1961. Following WWII, the peacetime potential of the images was immediately recognised. The photographs were ideal for teaching and research. As a result, University academics – many of whom had been wartime Intelligence Officers – expressed an interest in the collection. Ownership of the ACIU reconnaissance photographs transferred to the University College of North Staffordshire (now Keele University) in the late 1950s. Stanley Beaver, Professor of Geography, negotiated the agreement. This led to the establishment of the Keele Air Photo Library in the 1960s – later renamed The Aerial Reconnaissance Archives. Jump to present day and the growing collection, now named National Collection of Aerial Photography, sits within HES. Centenary celebrations and commemorations also give us the chance to work with TV programmes. Recently, Ewan McGregor and his brother, former RAF Pilot Colin McGregor visited us. Tonight (25 March) at 8.30pm, you can see them delve into the archive in the BBC One programme ‘RAF at 100’. 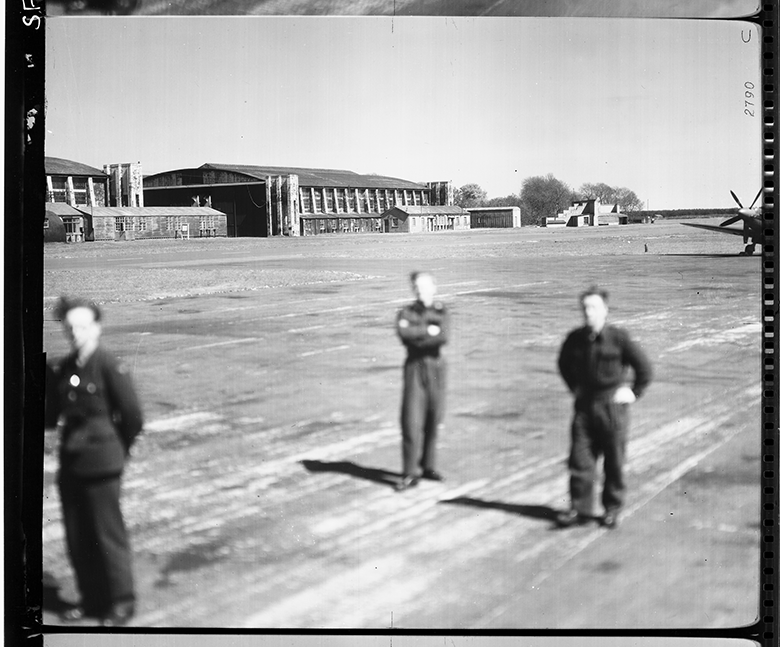 RAF ground crew and Supermarine Spitfire aircraft at Leuchars in 1949. Throughout the Cold War, international photographic reconnaissance missions informed UK foreign policy. This vital intelligence was central to many British, NATO military and humanitarian operations. It now represents a vital record of history and change. As images are declassified, the collection increases. Now photography from the Cold War and early Gulf War are available for the public to explore online. Furthermore, the NCAP collection goes beyond military images. In our archive, you can find images taken by commercial aerial photographers, survey companies and Government bodies. Among these are 1,900 images of Hong Kong. The UK took these photos from 1924 onwards to map the territory. These show the rapid expansion of the city year on year. The NCAP archive continues to expand through a range of international partnerships. 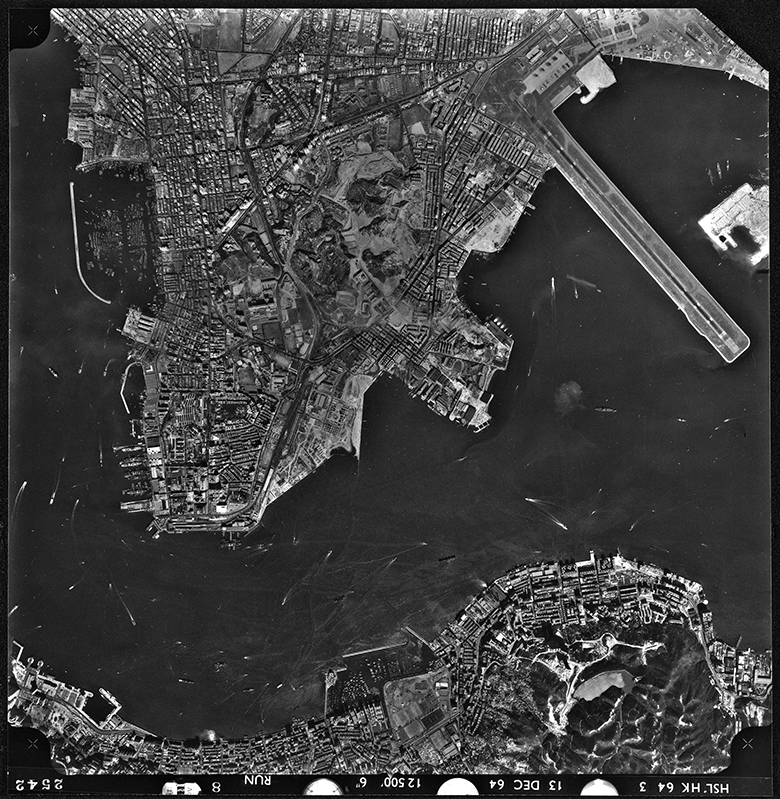 We’ve worked with the National Archives and Records Administration (NARA) in America to make WWII aerial photography of Japan and Europe accessible online for the first time. Explore our collection by visiting NCAP.org.uk and look through our galleries. Many of us had relatives that were involved in WWII, and even more of us can recognise the places captured from above in the aerial photography. It is truly fascinating to see the images taken by wartime pilots. Our planet has changed over the years and this this archive shows you just how much! 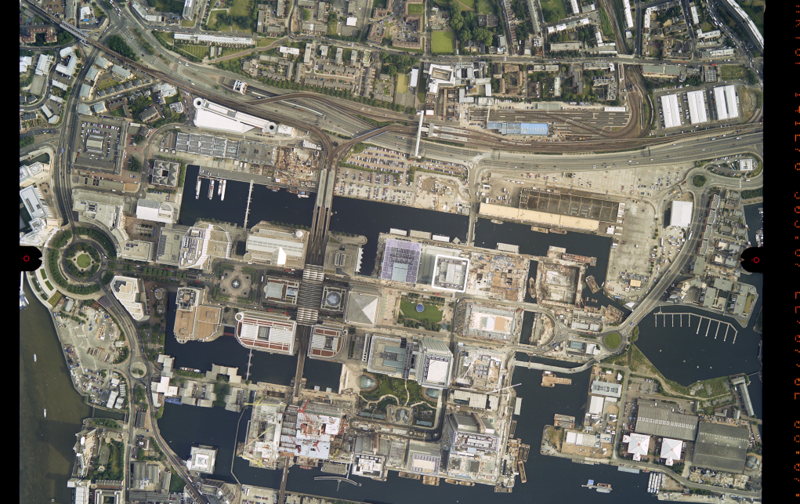 Image on left shows Canary Wharf in 1959 and image on right shows Canary Wharf in 2002.